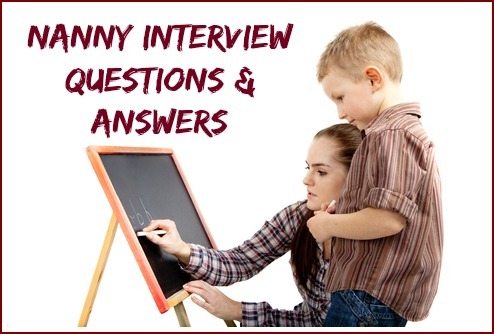 Prepare a list of questions to ask in your nanny interview. Duties and responsibilities differ in nanny positions so make sure you know what is expected in this particular nanny placement. Asking the right child care interview questions shows preparation, organization and a commitment to being a nanny. You also need to find out if the nanny job is a good potential match for you. 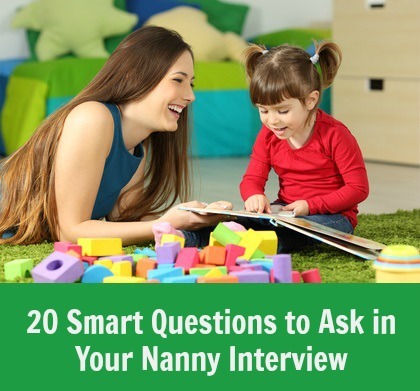 In addition to asking the right questions, you should also prepare the right answers to typical nanny interview questions asked by the employer. Use these questions to make a list that is relevant to you and the nanny job. Be detailed and specific and ask for further clarification if the answer you get is insufficient. Can you describe what you expect from a nanny? What are the expected childcare duties? What are the expected housekeeping duties? What are the nanny's hours? Will there be nights, holidays and weekends involved? What sort of driving will the nanny be expected to do? Will she be expected to use her own automobile? What kind of things do you and your children do together? What activities will the nanny be expected to do with the children? Are there any activities you specifically do not want the nanny to do with the children? How do you discipline your children? What role do you expect the nanny to play in discipline? How involved do you want the nanny to be in communicating with teachers? Do the children have any specific health or medical needs? What would the nanny's responsibilities be in this regard? Are there any religious or spiritual considerations the nanny should be aware of? Can you tell me about the children's interests? Can you tell me something about your careers? What is the children's typical daily and weekly schedule? What sort of rules do you have for your children? What would the nanny be expected to do during the children's nap time? Would you like the nanny to go to birthday parties, out to meals with the family and participate in other family events? What sort of accommodation is provided for a live-in nanny job? What will be my eating arrangements? How do I know if this is the right nanny job for me? In your interview it is acceptable to ask the family for references. You have supplied references for the family to check out, and before you accept a nanny job you should check the family's references. it is important to know about the family if you are going to be living and working closely with them. What questions can I expect to be asked in my nanny interview? Behavioral interview questions for nanny jobs that explore the required nanny job competencies are also frequently asked by employers.